High Mountain Lakes are important ecosystems that are largely unexplored not only in the Alps but also worldwide. 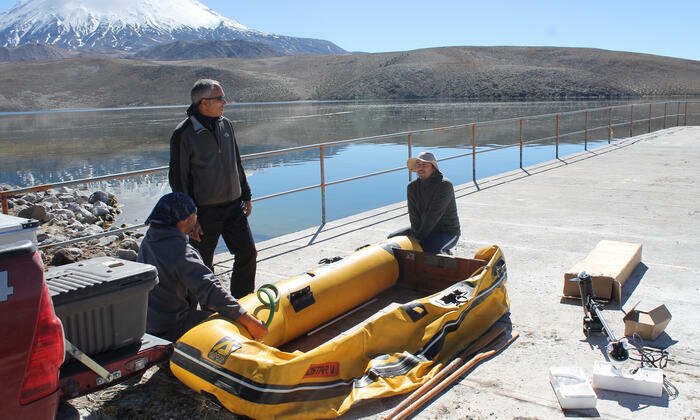 Ruben Sommaruga, Professor at the Institute of Ecology, University of Innsbruck, compared high mountain lakes in the Alps with those in Chile and Ethiopia. 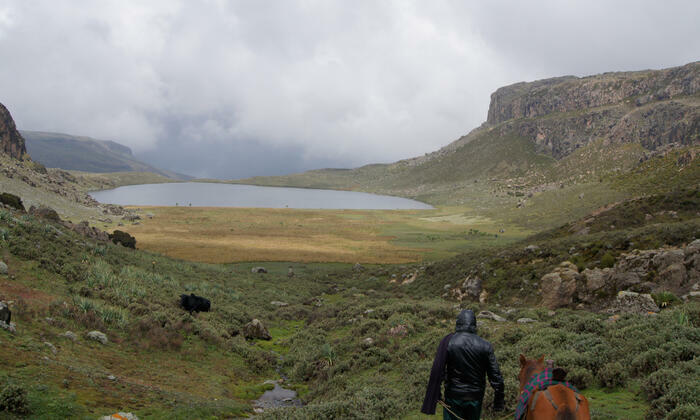 Ruben Sommaruga and his research team chose the Bale Mountains National Park in Ethiopia, the Lauca National Park in Chile and several lakes in the Alps, including the Gossenköllesee in the Austrian Stubai Valley, as locations for their scientific research. Lakes at an altitude of over 4,500 meters, such as those in Chile and Ethiopia, have unique characteristics: While they are very cold, they are extraordinarily productive. 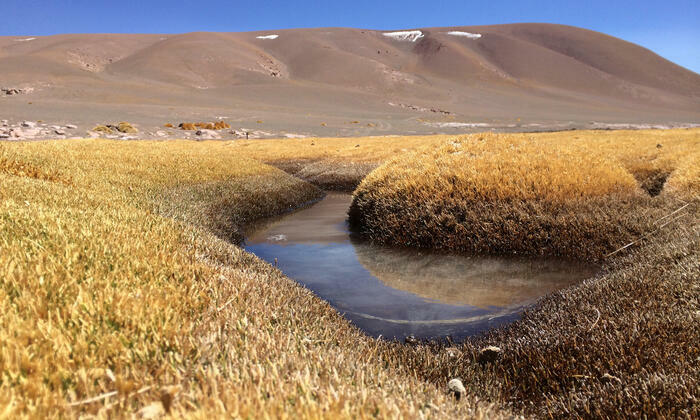 “In the high mountain lakes we studied in Chile, we found extreme diversity in the plankton and countless aquatic plants – characteristics that cannot be found in alpine lakes at our latitude. Surprisingly, even flamingos like the lakes at this high altitude,” says the scientist. Sommaruga started into his research trips to Chile and Ethiopia with the question: How similar or different is biodiversity in these lakes. “At first glance, there doesn’t seem to be a significant difference between the lakes there and in the Alps. However, when we studied the chemical characteristics, diversity and processes of the ecosystems, we found that no lake region resembles the other,” says Sommaruga. From sea level to 4,500 meters in only five hours, long days spent on the back of small horses during bad weather on the way to remote inaccessible lakes in high mountain areas - Ruben Sommaruga shows nothing but complete dedication to his research commitment in Chile and Ethiopia. The scientist conducts his studies at a high level, not only in the literal geographical sense. “It is very cumbersome to study lakes in the Alps and we need to concentrate liters of water and use microscopes to look for some special groups of organisms. The lakes at the high Andean plateau, or Altiplano, in Chile - for example the Chungará, one of the highest lakes in the world - are a lot more productive than those in Europe. It is incredible how many organisms live there and how much they vary in size. For example, the Nostoc, also found in the Alps and normally a microscopic species of cyanobacteria that form colonies, reach the incredible size of up to ten centimeters,” says Sommaruga. Another difference to the high mountain lakes in the Alps is the rhythm of the mixing regime. The water column of high Alpine lakes are mixed twice a year but in the lakes in Chile this process takes place daily, mostly due to extreme wind patterns. “The climatic conditions, the lakebed of volcanic origin that leads to the high concentrations of nutrients allow for a ‘comfortable’ habitat also for larger animals. For example, a natural population of small fish can be found in the high mountain lakes in Chile, where they have not been introduced by man, as they have been in Gossenköllesee,” says the ecologist. Ruben Sommaruga majored in Biological Oceanography in Montevideo, Uruguay in 1989 and finished his PhD at the University of Innsbruck. His interest in aquatic sciences brought him to several universities in Europe, the USA and South America. In 1998 he finished his “habilitation” in limnology. Sommaruga, Professor and Head of the Institute of Ecology at the University of Innsbruck, has received numerous national and international awards.